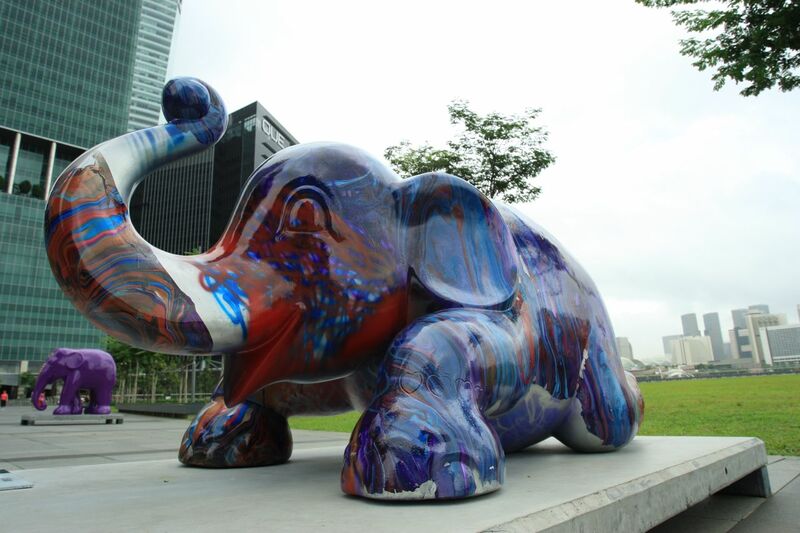 A morning photography adventure, to capture colourful elephants around the Marina Bay area, don’t worry, they are not the real life mammal elephants, instead, they are the elephant statues, with each and every elephant uniquely coloured and painted by an individual artist. 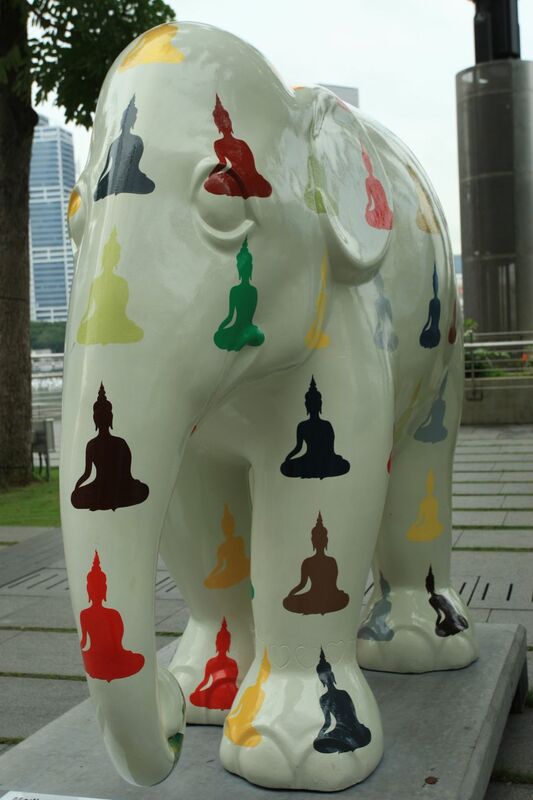 The Elephant Parade is the world’s largest open air art exhibition of decorated elephant statues, its purpose is to seek and attract public awareness and support for Asian elephant conservation. More information on how the Elephant Parade started can be found here! The Elephant Parade Singapore 2011 is visiting Singapore from 11th November 2011 to 11th January 2012, presented by ABN AMRO Private Banking and there are 162 uniquely designed and colourful elephant statues, by local and international artistes around Singapore. On a Sunday morning, 18th December 2011, there was an Elephant Parade Photography Adventure, organized by: Marina Bay Singapore/Urban Redevelopment Authority and supported by: Elephant Parade Singapore, Asian Civilisations Museum, The Fullerton Hotel. It was great fun photographing the Elephant Parade, knowing more about the Elephant cause and saving Elephants movement, the honour of meeting some of the artists along the photography adventure, listening to their sharing on how their unique designs came about and their inspirations behind their drawings and designs on the elephant statutes. This was also a great time to network and meet old friends and make new friends, from the photography circle to the social media/blogging/twitter circle. Starting from One Raffles Quay South Tower, walking towards Marina Promontory, Marina Bay City Gallery, Marina Bay Sands, Esplanade, Raffles Place MRT, Asian Civilisations Museum and finally Fullerton Hotel. The morning rain showered us twice, however, it didn’t fail to dampen any of the photographers spirits! We just rush and find shelter that’s all and wait for the rain to stop! 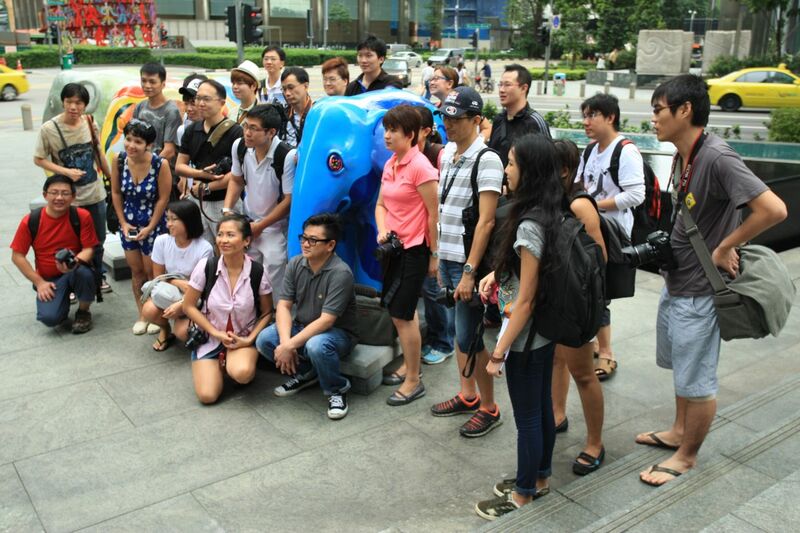 At the end point of the photography adventure, we were kindly hosted by Fullerton Hotel with light refreshments, relaxing and having fun with the quiz, hosted by Juliana Tan of Marina Bay Division, who was also the main organiser behind the Elephant Parade Photography Adventure at Marina Bay. 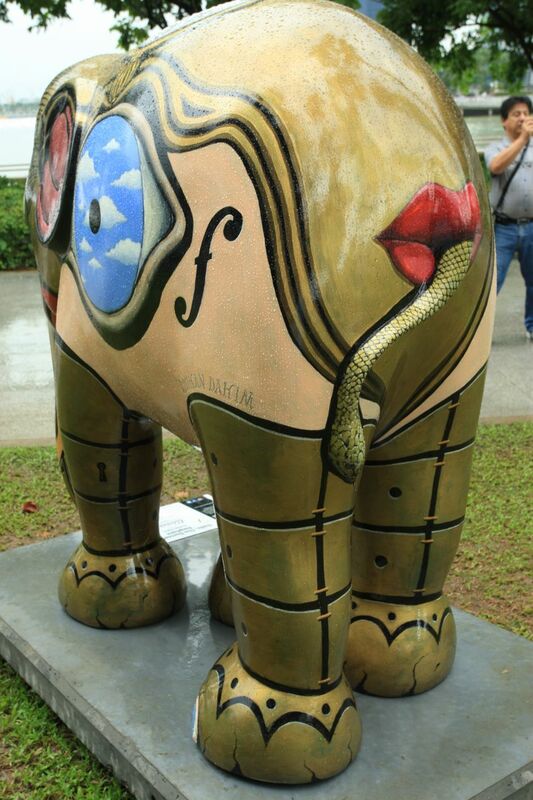 There are still more Elephant Statues around the island of Singapore for me to capture, I would try to capture all 162 of them before the exhibition tours another country! Let’s all help to spread the cause, let’s save the Elephants !